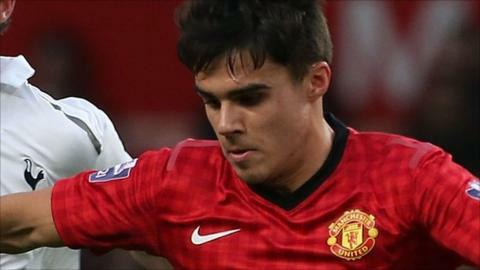 Carlisle United have signed Manchester United defender Reece James on a half-season deal which expires at midnight on 1 January 2014. The 19-year-old is yet to make a full appearance for the Premier League champions following his arrival at Old Trafford in July 2012. But James did win the Premier League reserve title with United last season. "He's one we think will add to the squad," Carlisle manager Greg Abbott told the club website. "He's keen and hungry to be involved and he's one we're really looking forward to working with." Formerly with Preston North End, Rossendale United and Blackburn Rovers, James continues a line of players to make the temporary move to Brunton Park. Previous Red Devils loanees include now-Hull City defender James Chester, Corry Evans, Sean McGinty and Joe Dudgeon.